New Zealand workers apparently face less risk of losing their jobs to machines than workers in 31 other Organisation for Economic Co-operation and Development (OECD) countries. This is a conclusion from an OECD working paper entitled 'Automation, skills use and training' by Ljubica Nedelkoska and Glenda Quintini. 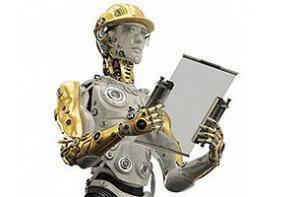 Their study focuses on the risk of automation and its interaction with training and the use of skills at work. It shows New Zealand workers facing the lowest risk of automation, along with those from Norway, Finland and the United States. "New Zealand is an interesting case. Ethnically it is dominated by Europeans, especially Europeans of British origin (74% according to the 2013 Census), and it trades intensively with other countries of Anglo-Saxon origin (Australia, United States, UK), and with Asian countries (China, Japan, Singapore). These relations may drive the similarities that we see with other Anglo-Saxon countries," the OECD working paper says. "Another interesting observation that may explain this pattern is that New Zealand, more than other OECD countries, experienced a sharp rise in occupations that specialise in cognitive jobs: professionals since the early 1990s and managerial occupations since 2010. At the other end of the automatability distribution are the countries of South and Eastern Europe, but also Slovakia, Germany and Japan. The higher risk of automatability does not only arise from the fact that these countries have relatively larger share of manufacturing jobs, but also from differences in the job content within nominally similar industries and occupations." For the overall sample of 32 countries, the median job is estimated to have 48% probability of being automated with a large variation in the degree of automatability across countries. "In New Zealand and Norway, for instance, the median worker has 39% and 40% probability of being automated, respectively. This is about half a standard deviation less than the median automatability for all 32 countries. At the other extreme, the median worker in Slovakia has 62% probability of being automated and in Greece and Lithuania the median worker has 57% chance of being automated," Nedelkoska and Quintini say. The working paper estimates the risk of automation for the 32 OECD countries that have participated in a Survey of Adult Skills (PIAAC). Beyond the share of jobs likely to be significantly disrupted by automation of production and services, an emphasis is placed on the characteristics of these jobs and the characteristics of the workers doing them. Risk is also assessed against the use of information and communications technology and the role of training in helping workers adapt to new career opportunities. "Across the 32 countries, close to one in two jobs are likely to be significantly affected by automation, based on the tasks they involve. But the degree of risk varies," the authors say. Nedelkoska and Quintini also point out technology will create many new jobs and there are upside and downside risks to their figures. "On the upside, it is important to keep in mind that these estimates refer to technological possibilities, abstracting from the speed of diffusion and likelihood of adoption of such technologies. Adoption, in particular, could be influenced by several factors, including regulations on workers dismissal, unit labour costs or social preferences with regard to automation. In addition, technology will without doubt also bring about many new jobs." "For instance, several analysts have found an association between automation and job growth in the service sector in parallel to job destruction primarily in manufacturing. Also, PIAAC does not include information on some key social intelligence tasks such as caring for and assisting others and this would bias the risk of automation upwards somewhat. But there are risks on the downside too. First, the estimates are based on the fact that, given the current state of knowledge, tasks related to social intelligence, cognitive intelligence and perception and manipulation cannot be automated. However, progress is being made very rapidly, particularly in the latter two categories," say Nedelkoska and Quintini. Perhaps obviously, they note the risk of automation is not distributed equally among workers with jobs requiring higher levels of education facing lower danger of automation. "Automation is found to mainly affect jobs in the manufacturing industry and agriculture, although a number of service sectors, such as postal and courier services, land transport and food services are also found to be highly automatable. The occupations with the highest estimated automatability typically only require basic to low level of education. At the other end of the spectrum, the least automatable occupations almost all require professional training and/or tertiary education." Another obvious point made is that young workers tend to face the highest prospect of losing their jobs through automation. "A striking novel finding is that the risk of automation is the highest among teenage jobs. The relationship between automation and age is U-shaped, but the peak in automatability among youth jobs is far more pronounced than the peak among senior workers. In this sense, automation is much more likely to result in youth unemployment, than in early retirements," the authors say. "This unequal distribution of the risk of automation raises the stakes involved in policies to prepare workers for the new job requirements. In this context, adult learning is a crucial policy instrument for the re-training and up-skilling of workers whose jobs are being affected by technology. Unfortunately, evidence from this study suggests that a lot needs to be done to facilitate participation by the groups most affected by automation. The odds of participating in any type of training, on-the-job and outside the job, are found to be significantly lower among workers in jobs at risk of being automated. Workers in fully automatable jobs are more than three times less likely to have participated in on-the-job training, over a 12-months period, than workers in non-automatable jobs." In this sense, automation is much more likely to result in youth unemployment, than in early retirements. Boomers.....win again. Truly there never has been a luckier time to have been born. But something is missing in our lives. Something unfinished. The conquest of Russia. If anyone can do it Boomers can. What could possibly go wrong? Off you go, then. Get the old farts together and invade. But you really should wait until November to put boots on the ground. Moscow's that way. ... and what has Russia done to you. Russia has been transformed to a world economic power, and that's a threat to some people.especially if your country is going the other way. Keep in mind this is RT and like many countries media is biased. I would've supported you were the claim "Russia is a military superpower". However, Russia has absolutely no sway over the global economy as seen in the mid-2015 when oil prices crashed. Back when oil traded over US$130 a barrel, you would see clear signs of Russian aggression along the borders of NATO member states but now their actions are limited to Putin's speeches and plausibly deniable assassinations. The country holds no global financial assets and little credibility in global markets; the Turkish lira saw more trading volumes in 2017 than the Russian Ruble did. I agree, but ask a grain farmer in the Mid West what Russian gain exports are doing to their livelihood, or a house wife in the Netherlands where the gas come from to heat their house, or which rocket the USA uses to launch it's satellites. It's not where Russia is now but where it's going. A reminder. Please try to keep comments on the topic of the article you are commenting on. If you want to make more general comments, or peddle your personal theories about life and the universe, you can do so on 90@9, what happened today & Top 10 when it runs. Thanks. Of the 3 modern rockets (falcon x, falcon Heavy & the electron rocket) none are Russian? Angara rocket, not to mention they are working on reviving the Energia class of super heavy lifters. The technology in the hands of the wrong people, and it will get into those hands, nothing surer, will render life as absolute hell on earth. I do not think what he has to say is far fetched, by any means. As someone with skin in the 'AI' game, I regularly chuckle at the spin from self promoted developers of AI for some professions. In almost all cases, their products are simply efficiency refinements of existing processes; useful and needed, but not AI. We are involved with two professions and deeply analyse the offerings of our competitors. All are innovative, a small number evolutionary, and they will cut labour costs and modify the way those professions operate. But NONE, are genuinely disruptive AI; despite the claims of their proponents, earnestly and falsely repeated at trade shows and accepted by impressionable audiences conditioned to believe the fallacy that a dystopian Musk world is coming to them soon. AI will pick off some low level mechanical elements of these professions over the next 10 years but the hurdles to developing all encompassing AI for most professions, are enormous. In 20 and 30 years time most of the functions of these professions will continue to be provided in a very similar way that they how are, albeit with increased efficiency by way of improved processes. "In 20 and 30 years time most of the functions of these professions will continue to be provided in a very similar way that they how are, albeit with increased efficiency by way of improved processes." Hope NZ's leaders have much deeper and wider visions than the stated above. Yup, 'having a vision' is enough, all by itself. Doesn't really need to be informed by reality. Label naysayers as luddites, call the 'vision' as 'aspirational' , package it with snappy sound bites and bingo, you break me down, built me up, believer, believer. If industries like Agriculture require less workers which I strongly suspect is correct then greater power devolves to those involved not just in terms of the remuneration but also their pricing power which currently resides with the wholesales & retailer but should supply/availability become an issue than the producer becomes King, same in other similarly placed industries. Now apply that thinking to laboratory produced food and see where it takes you in terms of control of people. Even 'laboratory produced food' comes from a paddock. Unless of course you are talking about 'soylent green'? Yeah automation will do little to the NZ workforce with most the manufacturing, agriculture & customer service roles already shipped overseas there is very few roles here where automation could have a dramatic influence. Even in horticulture the work is so seasonal & restricted to such a small subset of the total NZ workforce we likely would not even see the loss of these jobs (aside from less requests for migrant workers).